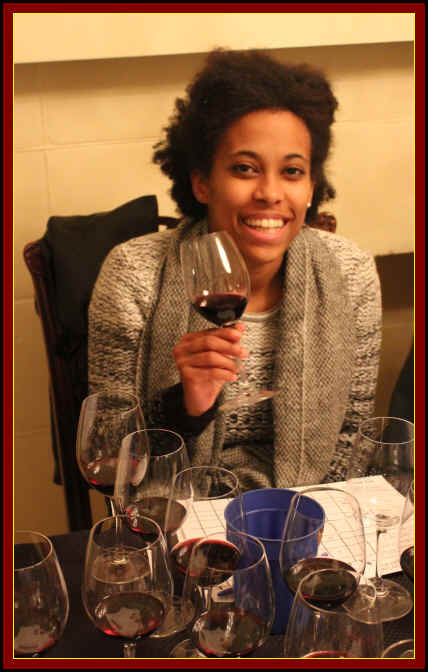 I had tasted a number of rather good wines from Bordeaux early in 2015 and was curious to re-visit some of them to see if they were as generally charming today as they were then. The 2009 and 2010 vintages were much-heralded by the wine critics, generally. 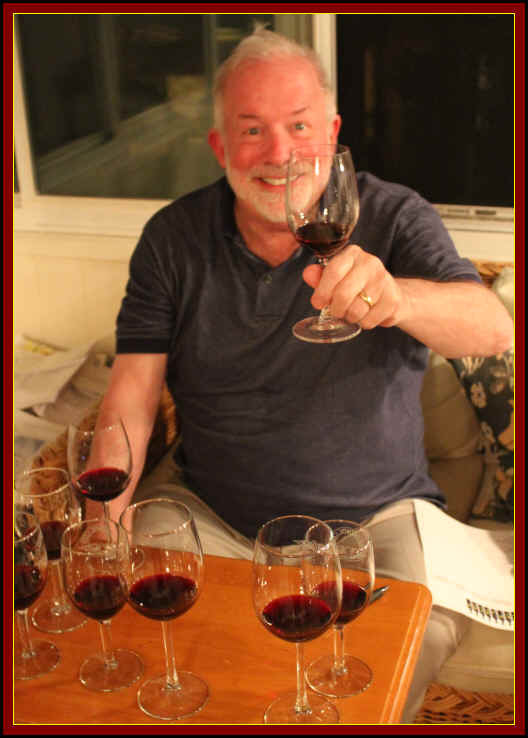 The 2011s I'd tasted were well-made, but seemed to miss the mark by a modest margin, often seeming lacking a layer (or two) of complexity. 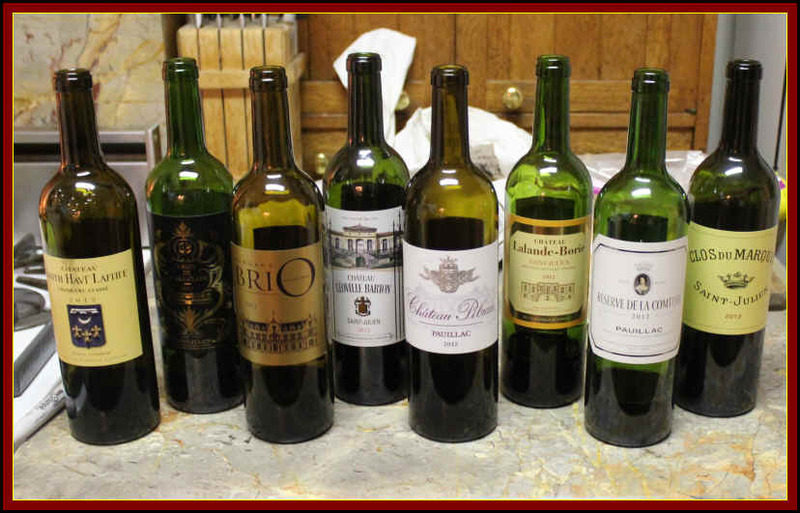 The 2012s seemed, as a group, rather nicely balanced and tasting as though they came from Bordeaux and not Napa Valley. We purchased a set of "second" wines, as well as a couple of similarly-priced bottles. 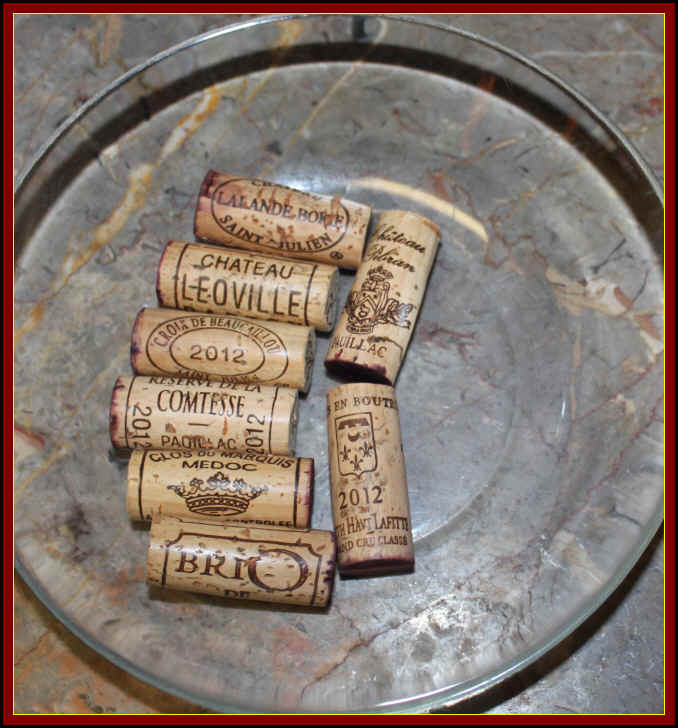 And then we splurged for a couple of old standbys, Leoville Barton and Smith Haut Lafitte as benchmarks. 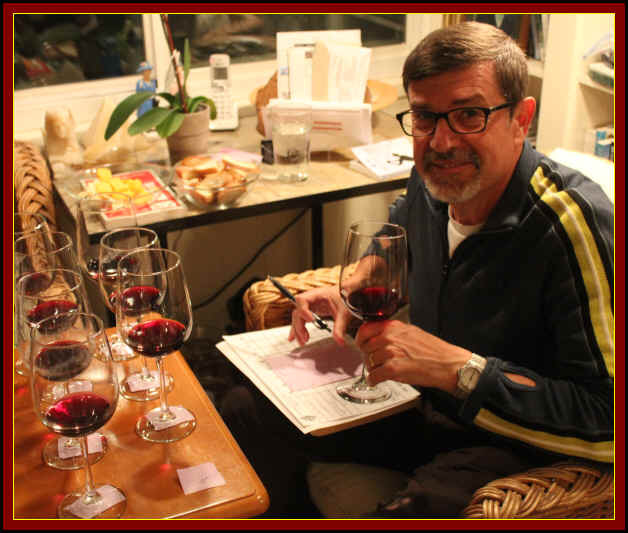 Reports about the 2012s are varied, some advising by-passing the vintage as a poor investment, while other reports proclaim there are good wines to be had. Perhaps if you are buying wines as an "investment," it may not be a worthwhile purchase. On the other hand, if you are looking for wines to open and enjoy, this might be a good vintage. 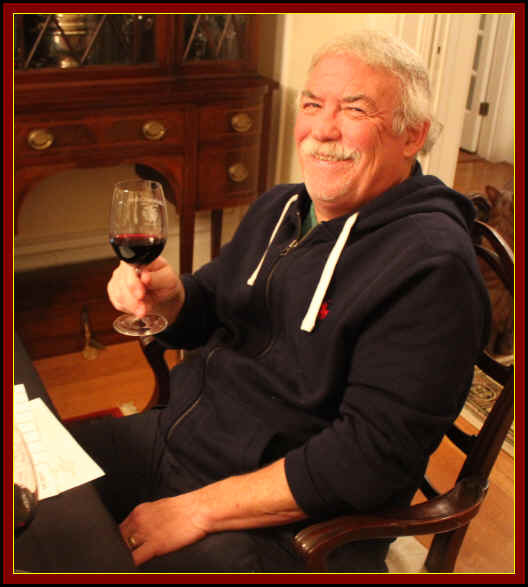 The wines made predominantly from Merlot were more easily produced, while Cabernet Sauvignon-based wines required a watchful eye on the weather report and much work in the vineyard. The wines were well-made and the tasters reported struggling to arrive at their final rankings. 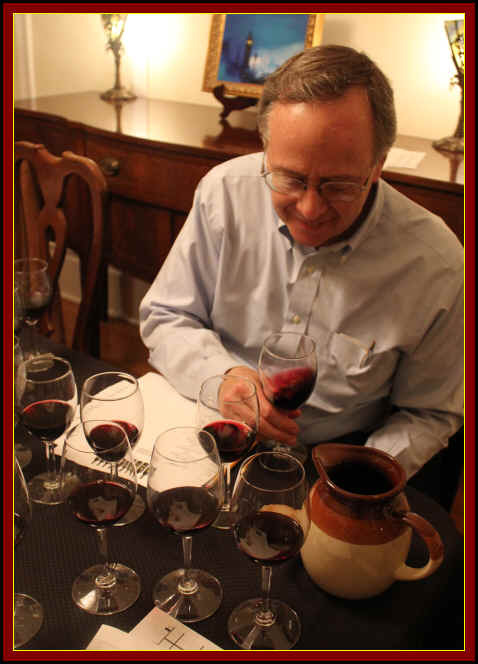 The wines were fairly close in quality at the initial pouring of the wines. 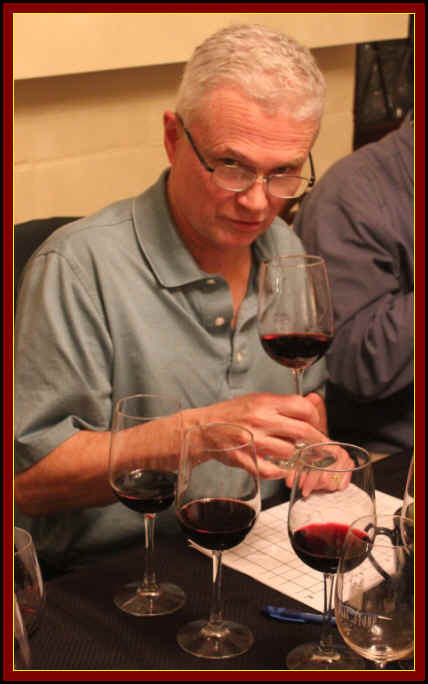 I especially liked my top three wines, while one wine was plagued by what may have been a dusty glass...and i may have missed the wine, as a result. One wine, though, was well ahead of the pack. Clear in appearance and medium ruby red color, the fragrances of this wine were promising right from the start. It seemed to display Cabernet-dominated fragrances with hints of pencil shavings on the nose. In the mouth this wine is dry and fairly tart, with medium light body. The high level of acidity will surely allow this wine to withstand the test of time, but it's a baby presently. This acidity makes the wine seem a bit shallow, in fact. Patience is required here, but for the moment, I've given it one star on my three star scale, no stars being a standard or ordinary wine. I bet this wine will be rather good in ten to fifteen years. The second wine from Pichon Lalande and I've rarely been this impressed by the wine. The wine was medium+ ruby in color and clear in appearance. The nose displayed dark berry fruit and light oak...good intensity, though, which was not common. The wine is dry and moderately acidic and I felt it was medium-full to full-bodied. The wine, on the palate, seemed nicely ripe and showing mature Cabernet fruit. I detected a bit more depth and texture. This simply seemed to be the best balanced and deepest wine of the line-up, yet while three tasters (myself included) rank this highly, four of the 12 participants put this in last place. I gave it two stars at this stage and it may even improve a bit with some time in the bottle. I, however, was enchanted by this bottle. Clear in appearance and medium-light ruby in color, this wine started out handsomely, showing good cedary notes on the nose with some toasty notes from the oak. The wine is dry and the acidity is at a medium level. The overall balance, though, is quite handsome, with the wine being medium- in body and the interplay of red fruits and the cedary oak working nicely together. It may not need that much cellaring, in fact. I found it quite pleasant and gave it one-and-a-half stars. Clear in appearance and medium+ ruby in color, the nose of this wine was quite good, sporting dark fruit and a touch of a cassis-like herbal element. There's even a bit of wood lurking in the background. The wine is dry and moderately tart with medium+ body. This was quite promising, but the wine seemed to fall off a bit on the palate...not quite as complete as I'd have liked. Still, it's a good wine and seemed to be a good effort. The tannin level is light to medium, so drinking it now is perfectly acceptable, but it should fill out a bit with some time, perhaps five to ten years. One-and-a-half stars. Medium ruby in color and clear in appearance, I liked the mildly cedary, woodsy notes with beautiful dark fruit. Medium level acidity and it's dry. Medium bodied. Good fruit on the palate, despite the wine not being a big blockbuster...it struck me as being another "complete" wine with good ripeness and good texture. One-and-a-half to two stars, this is pretty now but seemed to have 5 to 15 years ahead of it. Maybe more. Medium light ruby to ruby in color, this wine showed a slightly dusty tone in the glass, with slightly herbal fruit...a bit of red fruit, too. It seemed to be dry and yet with a real streak of tart acidity to it. Medium-light bodied, possibly due to the overtly acidic aspect on the palate. Yet the flavors seemed to deliver a bit more than expect, with a riper quality while still being more of a wine for lunch, rather than a wine for dinner. One half star from me, but I may have under-rated this. I had bought a bottle of this last September, or so, and found it to be quite good...dark fruit and nicely drinkable. But perhaps my glass was not perfectly cleaned...there was a curiously dusty quality that even with shaking the glass I could not get rid of! The wine seemed shrill and acidic with being light in body. I found an herbal, almost weedy quality here. Lightly tannic and seemingly malnourished to me, yet finishing in 2nd Place, this was well-liked by a number of tasters. I did not recognize this as the wine I'd tasted several months ago. Clear in appearance and showing medium ruby color, there was good Cabernet fruit to this wine on the nose with dark fruit tones and a light oak frame. I did not find it to be as showy in terms of its fragrance as other wines, which held this back for me. Dry and medium level acidity, with medium+ body. There was good, dark fruit on the palate, though. It's an elegant Claret, for sure and the balance was beautifully elegant. This is showing well in its youth and likely to blossom even more with bottle aging. I gave it one-and-a-half stars+...very fine.